All hands on deck, boys. Let’s go! 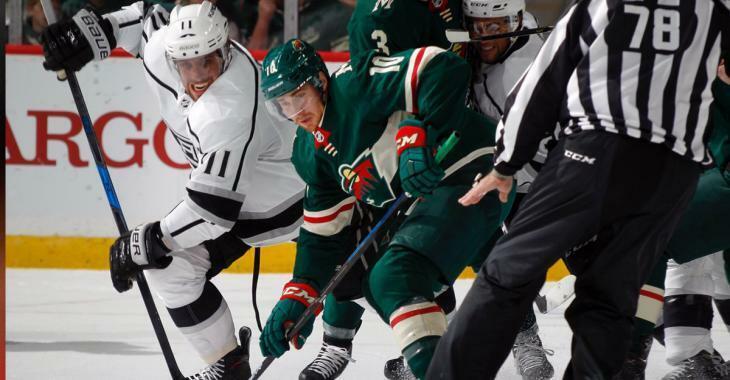 The Minnesota Wild have recalled veteran forward Matt Read from the AHL’s Iowa Wild in advance of tonight’s game against the Los Angeles Kings. The 32 year old Read has played in five games with Minnesota this season, going pointless. But he does have a goal and two points in seven games with the AHL’s Wild. It’s unclear exactly how or if Read will slot into the Wild’s lineup for tonight’s game, at least until the status of Wild forwards Eric Staal and Matt Hendricks is announced. According to Wild insider Michael Russo of The Athletic, both Staal and Hendricks are questionable for tonight’s contest. More on this to come as it develops.